Kim Keever of Cox Communications and Aflac Claim Top Awards. David Black of SiteOne Landscape Supply Named People's Choice Award Winner. ATLANTA, February 7, 2019	(Newswire.com) - T.E.N., a technology and information security executive networking and relationship-marketing firm, honored finalists and winners Wednesday evening, February 6, at the 2019 ISE® Southeast Executive Forum and Awards Gala at the Westin Peachtree Downtown in Atlanta, GA.
Kim Keever, CISO and Senior Vice President of Security, Analytics & Technology Services for Cox Communications, was selected as the Information Security Executive® of the Year Award Winner for the ISE® Southeast Region. Kim Keever is the Chief Information Security Officer (CISO) and Senior Vice President of Security, Analytics and Technology Services for Cox Communications (CCI) in Atlanta, Georgia. Her teams are responsible for all aspects of Information Security for Cox Communication, the Center of Excellence for Analytics and for Technology people programs. Since joining Cox, she has built an industry recognized security program. Additionally, the new Analytics COE has transformed the use of analytics resulting in significant cost saving for Cox. Her teams partner closely with Cox Enterprises, the parent company for CCI, Cox Automotive and Cox Media Group. In early 2016, Kim’s team received an innovation award from CSO Magazine, and Kim was named a top woman in technology by Multichannel News. In both 2017 and 2018, she was named one of the most powerful women in cable by Cablefax. David Black, Chief Information Security Officer with SiteOne Landscape Supply, was honored during the event as the 2019 ISE® Southeast People's Choice Award winner. This award represents the nominee who best exemplifies information security leadership as voted on by their peers in information security. Aflac’s “Ducking an Identity Crisis with Real-Time Fraud Alerting” received the honor of being chosen as the ISE® Southeast Project of the Year. Matthew Harper, Director of Cyber Crime Prevention for Aflac, accepted their award on behalf of the project. Criminals are taking advantage of Aflac’s transition from a legacy serving model to a digital-first environment via Account Takeover (ATO) and other techniques. To protect Aflac policyholder data while enabling the digital transformation, Aflac leveraged in-place security technology (Splunk) and real-time channel/servicing data (call center, online, claims and client master) to create a flexible analytics platform that can flag suspicious activity in real time and alert business partners in fraud, claims operations and security to take corrective action. The project delivered real-time visibility across all aspects of Aflac core individual business units and ID validation infrastructure. “This year, our executive and project nominees were some of the most incredible leaders and influencers that our judges have ever seen," said T.E.N. CEO and President Marci McCarthy. "Each of these executives and project teams exhibits the drive, passion, and dedication to Information Security that the ISE® Awards represent. We are honored to have each and every one of them join the ranks of our distinguished ISE® Alumni." The event is made possible by our Exabyte Sponsor: ForeScout; our Kilobyte Sponsors: Agari, Qualys, Shape Security, and ZeroFOX; our Display Sponsors: Centrify, CrowdStrike, Darktrace, Devo, Kenna Security, NETSCOUT, Protegrity, Respond Software, and Saltworks Security; and our Association Sponsor: The Metro Atlanta Information Systems Security Association. 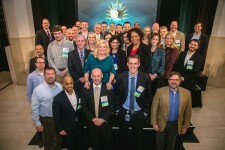 For more than a decade, the Information Security Executive® (ISE®) of the Year Award Program Series has empowered security executives and their project teams to Connect, Collaborate, and Celebrate. Recognized as the industry’s most prestigious IT Security award program, it has become the most anticipated award program for security executives and their project teams. 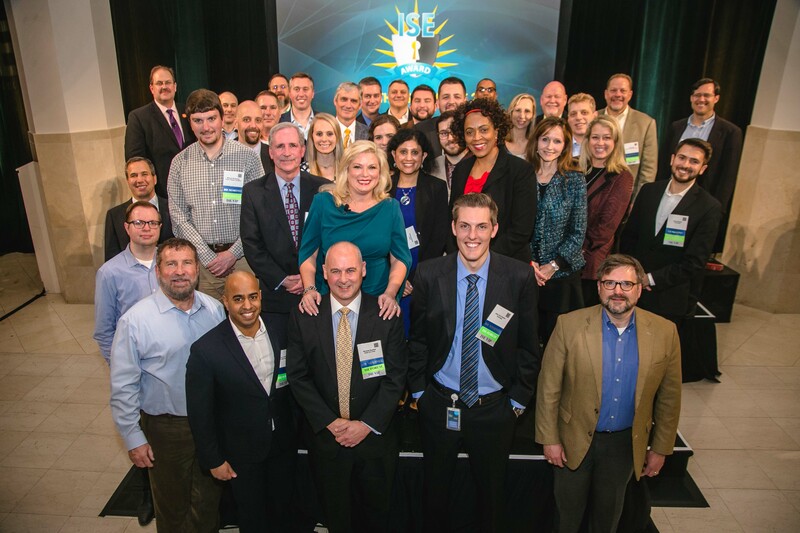 Winners have included executives and project teams from leading organizations such as Aetna, AIG, AT&T, Bank of America, Comcast, Cox Automotive, HMS, Jabil, NCR, PayPal, SunTrust and VISA. Tags: Information Security, ISE Program, ISE Southeast, T.E.N.